Schirra, who passed away in 2007, was the first astronaut to wear an Omega watch in space, more than two years before NASA adopted the Speedmaster as its approved timepiece. 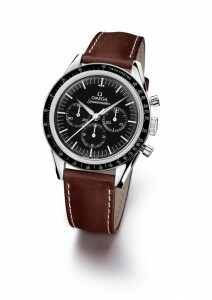 Since then, astronauts — including the dozen Apollo moonwalkers — and cosmonauts have worn Omega watches on their missions. This entry was posted in Omega, Uncategorized. Bookmark the permalink.